The Rottner Ashford range is available in 4 different colours (red, black, white and antique). 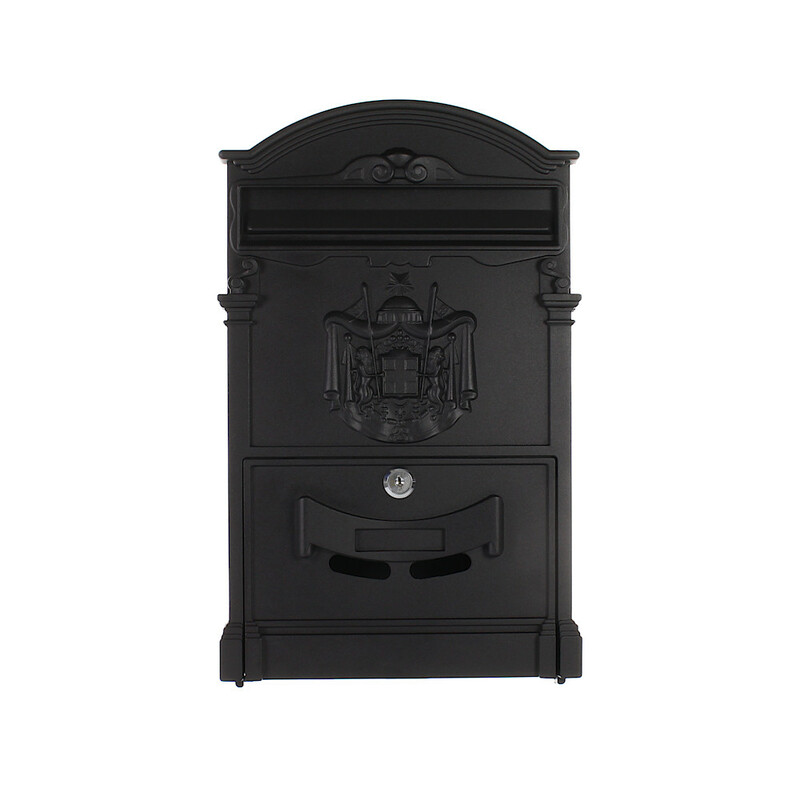 The Ashford is an A4 size traditional style mailbox and features a fancy regal crest on the front. The mailbox is secured by a cylinder lock supplied with 2 keys. The mailbox is weather resistant and suitable for wall fixing.